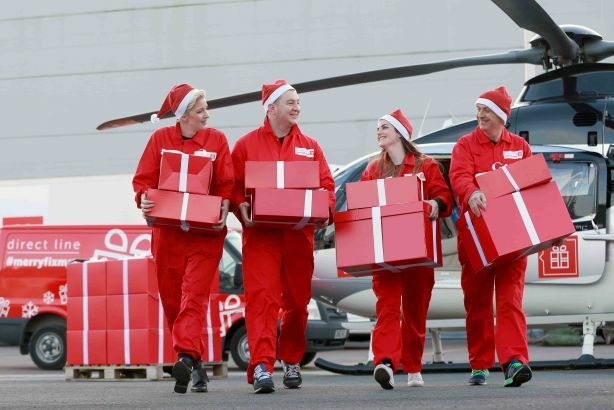 Direct Line's Christmas campaign sees a team of 'fixers' travelling across the UK helping consumers get their lives back on track during the festive period. The campaign is based on the idea that Christmas, while a magical time, can also be stressful as lots of things tend to go wrong. Unity, which won the Direct Line account last year, came up with #merryfixmas after running previous social media campaigns for the brand – #everydayfix and #directfix – that helped almost 500 people by delivering solutions to travel woes, weather issues and fashion dilemmas. #merryfixmas is a live campaign that uses Twitter to identify members of the public who are talking about their stress online and deliver them a rapid solution. The campaign has also been publicised on YouTube. On the day of the launch, there were more than 1,500 mentions of the hashtag #merryfixmas, reaching more than one million people. So far, 'fixes' that have been delivered include replacement Christmas lights for a woman whose rabbit chewed through them; sold-out toys for a child and a party outfit for someone who had nothing to wear for their Christmas party.